A strong and sturdy entrance door renowned for its robust and durable construction. This entrance door gives every façade its own character with a profile that allows for a large opening and width with clearance heights of up to 3,000mm. Particularly suited to buildings with a high number of visitors, it is an excellent choice for high traffic volume. The Schüco Door ADS 70 HD (Heavy Duty) combines outstanding thermal insulation and provides freedom of design with a number of personalisation options available. Available in both heavy duty and high insulation systems, the Schüco Door ADS 70 HD is easy to install. Aluminium is a lightweight yet incredibly strong material that is flexible in design and versatile too. Our range of Schüco Door ADS 70 HD are suitable for a range of uses, in particular a commercial setting that has a busy entrance that requires high security and large width. When it comes to the locking system it features the Schüco barrel hinge which is a system that has been tested and approved for 1,000000 cycles. The surface-mounted door hinges offer a stylish design with adjustment options. The concealed fittings are discreet, and the comprehensive range of locks provides an excellent solution. You can take a look at our virtual reality tour or our showroom. We have a number of our products on show. If you’d like to visit us in person, please get in touch via our online contact form. Take a look at our videos to take a look at why the Schüco Door ADS 70 HD is such an excellent choice. We have a range of videos to watch of our different products and services. The Schüco Door ADS 70 HD is incredibly thermally efficient which makes it ideally suited to improving the energy balance of a building whilst maintaining freedom of planning. 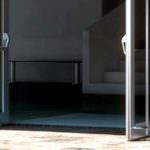 The basic depth of 70mm ensures structural integrity with optional fittings that can be used as a multi-purpose door. The design is timeless with a classic feel, making it an excellent frontage for commercial premises. The comprehensive range of opening types including single and double-lead inwards and outwards make it a flexible and versatile choice. This particular range of door is available with a flat threshold so that there is easy access to the building and there is no danger in having a high volume of traffic passing through. Available in residential (RL), Softline (SL) or Heavy Duty (HD) models. Take a look at the Schüco Door ADS 70 HD which lists the technical information you need to know. You can download these and peruse them at your leisure. The Schüco Door ADS 70 HD benefits from an automatic door seal as well as concealed hinges, emergency fittings, an emergency exist switch and the ability to integrate it with access control or a door manager system. With an easy and quick installation process, you can benefit from a swift and efficient installation from Arkay Windows. You can get in touch with any questions or queries you may have about your project if you’re considering the Schüco Door ADS 70 HD. You can contact us today for a free quote for your door needs today. Whether you’re looking for the Schüco Door ADS 70 HD entrance door model to be implemented into a residential or commercial project, we can assist. Simply visit our contact page and fill out our online contact form. A member of our expert team will be able to answer any questions you may have. We are happy to recommend or advise on the most suitable products for your needs and requirements. Is the Schüco Door ADS 70 HD suitable for commercial purposes? The Schüco Door ADS 70 HD is best suited for commercial purposes with its wide width options to accommodate a larger volume of traffic. It is also incredibly secure meaning that the premises will be well protected once closed and unoccupied. Is the Schüco Door ADS 70 HD available with customisation options? We can provide you with a Schüco Door ADS 70 HD that is tailored to your needs. With a range of specifications including widths, heights and more you can create a door solution that best suits your project. 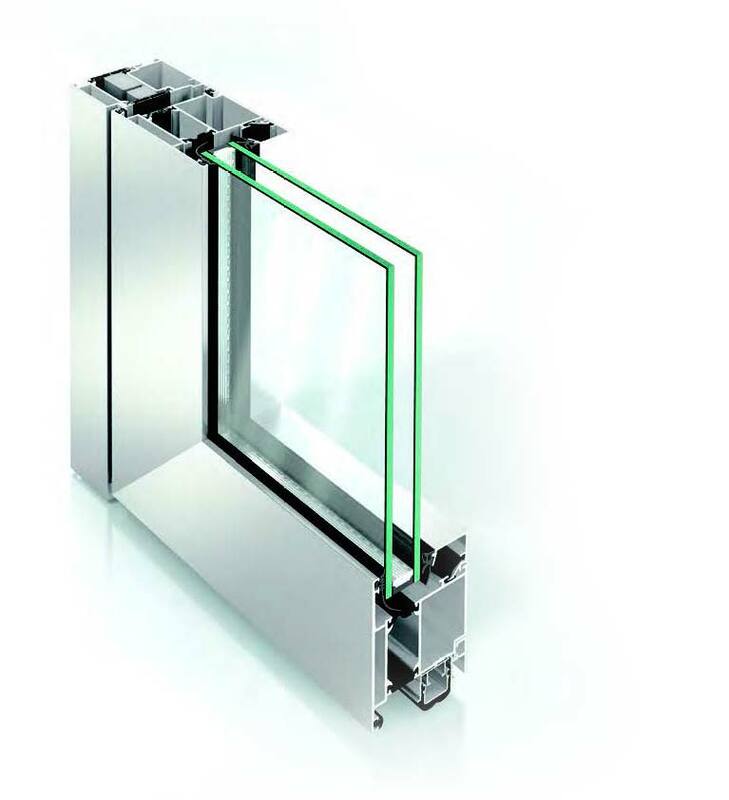 Is the Schüco Door ADS 70 HD thermally efficient? The Schüco Door ADS 70 HD is incredibly thermally efficient, keeping warm air inside instead of letting is escape into the atmosphere. They are also adept at keeping moisture out so that you can ensure your premises is kept dry.